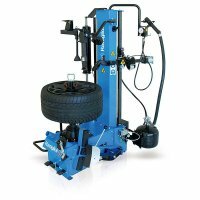 Rav is offering the Mid Size G7240.22 Swing Arm tire changer at an entry level price without compromising quality. 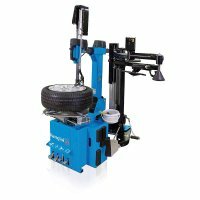 Our world class reputation and design features are maintained in this basic top quality European machine. Whether you are opening a new business or need to replace your standard swing arm changer for your existing business. High volume manufacturing of this popular machine guarantees an affordable entry level purchase price for any shop. Optimized construction to obtain the best price/performance ratio. Bead breaker has a galvanized cylinder with double acting operation. Rigid self-centering clamping jaws with a wide clamping range. 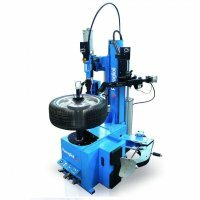 Add our PLUS Arm 91N for and additional $1,566 for one-man operation of low profile and run-flat tire applications. Call us at 1-877-RING-AET or 570 639 2344 for information or special pricing on floor models or demo units today!